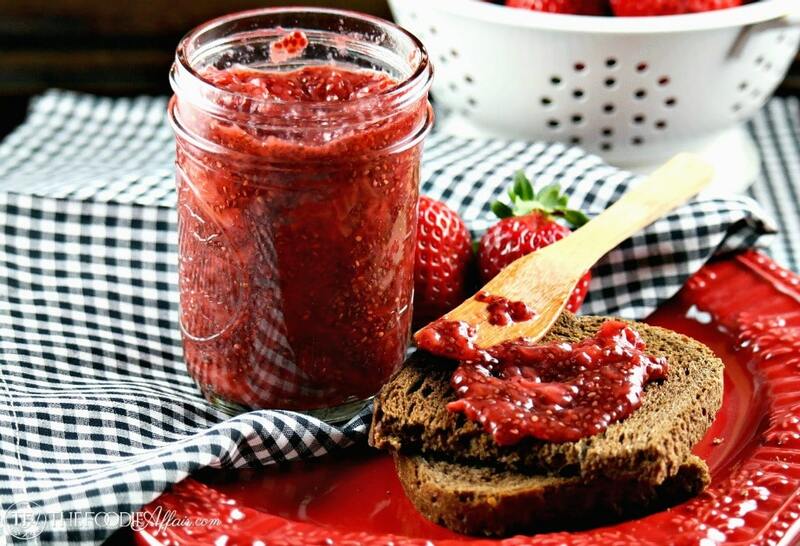 Strawberry Chia Jam is made without refined sugar and takes less than 15 minutes to make! Chia is a nutritional powerhouse adding protein, fiber and Omega-3s to your diet. 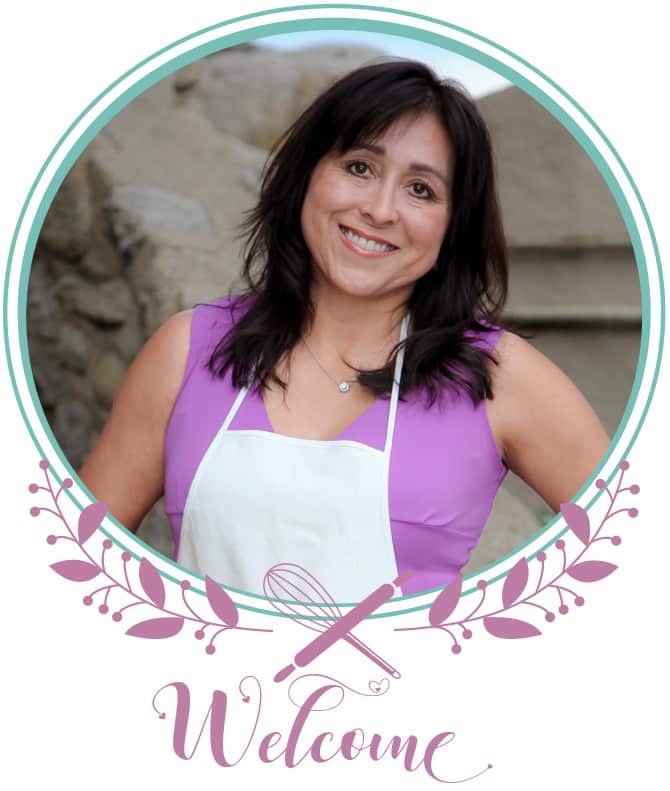 I love making jams and sauces with seasonal fruits! Last spring I shared this Mixed Berry Sauce and during the summer months I made this Peach Freezer Jam, which we devoured in just a couple of weeks! This chia seed jam is also going to be gone in no time too, but I’m ok with that because Strawberries are STOCKED in every store right now! Luckily, I loaded up with an awesome sale Grocery Outlet has going on. Only 99 cents for a whole pound! Chia jam is easy way to add Omega-3 fatty acids to your diet! Have you gotten on the chia seed bandwagon yet? You should because these little nuggets are loaded with healthy nutrients (learn about the health benefits of chia seeds ) and are so easy to add to your diet. I don’t know about you, but I can never get enough natural omegas-3’s in my diet. Fish is my go to source, but it’s not on my plate often enough. 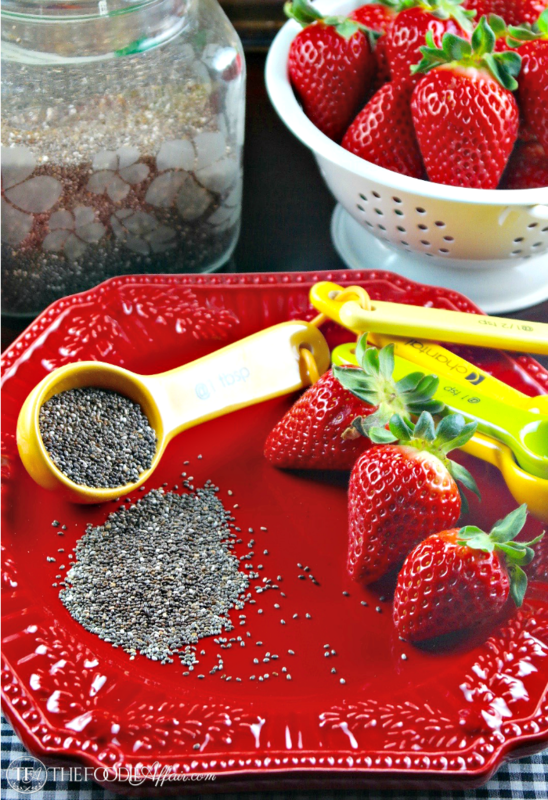 One easy way to get those omegas is to toss those little chia babies in smoothies. At first I would gell the seeds with filtered water so they would plump up before adding it to any liquid like I showed you in this Ch-Ch-Chia post, but now I don’t bother with that extra step. They’ll plump up on their own adding more fiber to fill you up, which is why they’re so perfect in this strawberry chia jam! 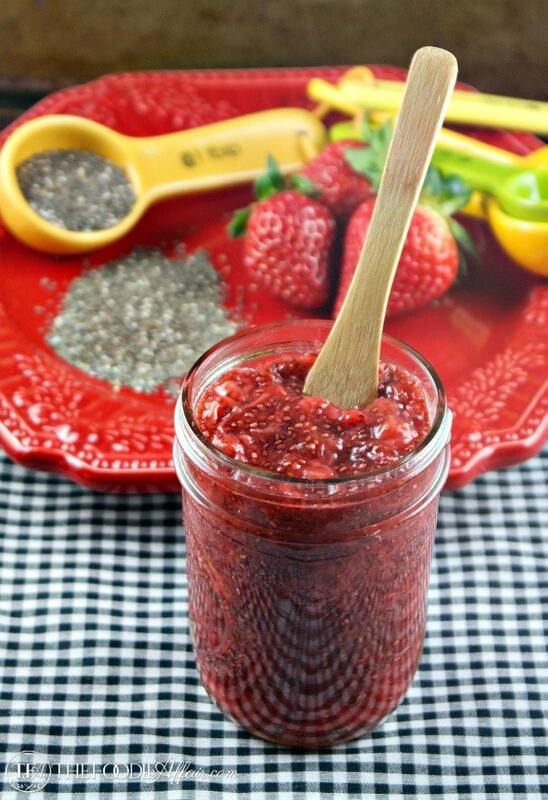 Chia seeds act as a natural thickener for jam, which is so convenient when you want a quick jam. 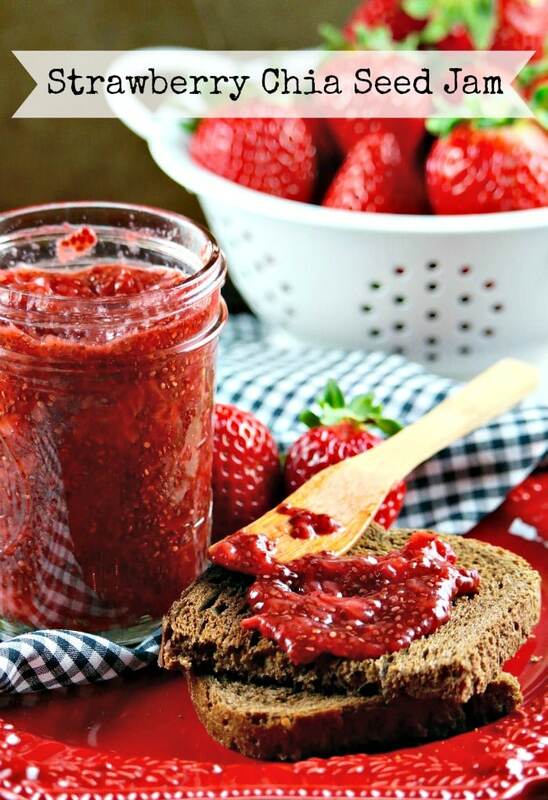 No pectin or any special equipment is needed to make this chia seed jam. The seeds soak up the strawberry juice beautifully! Lather up your toast with this chia seed jam or swirl in oatmeal or yogurt for a tasty breakfast or snack! Be sure to make an extra batch because I have a recipe that you’ll want to use it for coming up later this week! 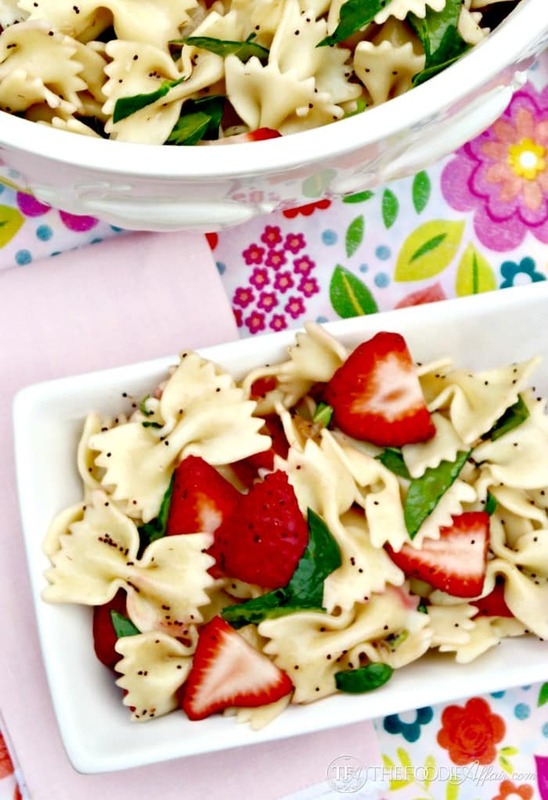 You also might be interested in trying this versatile Sugar Free Strawberry Topping! In a medium saucepan add strawberries and maple syrup and heat over medium heat. For about 5-10 minutes cook strawberries until the berries release their juices and begin to soften. Continue to cook for an additional 5 minutes cooking down some of the liquid and break up some of the strawberries with a fork or potato masher. Remove from heat and add the chia seeds stirring well. Add the vanilla and let cool. Spoon jam into a jelly jar and store in the refrigerator for up to 2 weeks or freeze for up to 2 month. I just love how your strawberry jam thickened up without the use of sure jell or loads of sugar. I can’t wait to try this at home for my hungry crew. Sharing! Making this as soon as my strawberries are ready. I have to go to bed but this jam has got me feeling hungry! Looks delicious! This is so clever! I wish I had thought of it :-p will definitely make this weekend!!! What a great looking jam, the texture looks spot on! Thanks, Brian! It’s amazing how well the chia gels up just right! Looks delicious! I love strawberry jam. I’ve made it with chia seeds as well. Yours look like I can reach out and grab it. Great photo! I’ll be trying some other fruits with chia. Have you tried blueberries? 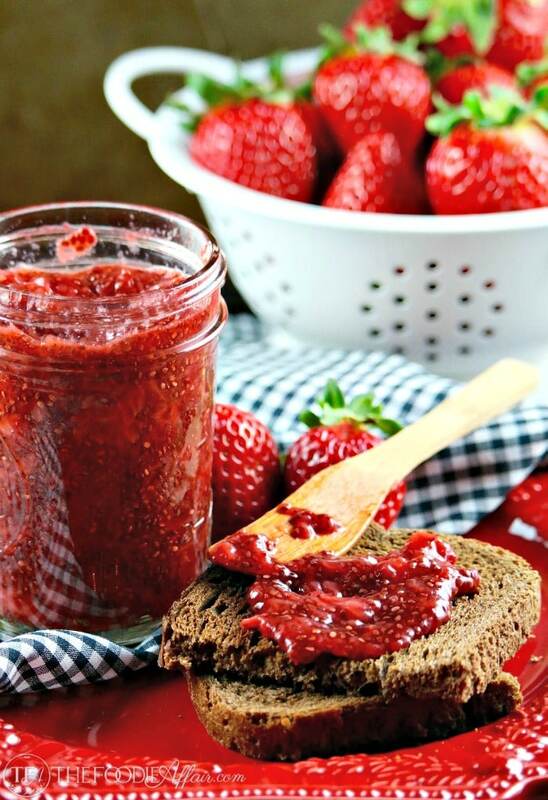 Strawberry chia seed jam has been on my must-try list for a while now! 🙂 I love chia seeds! Definitely making this the next time I snag strawberries for a good price at my grocery store. 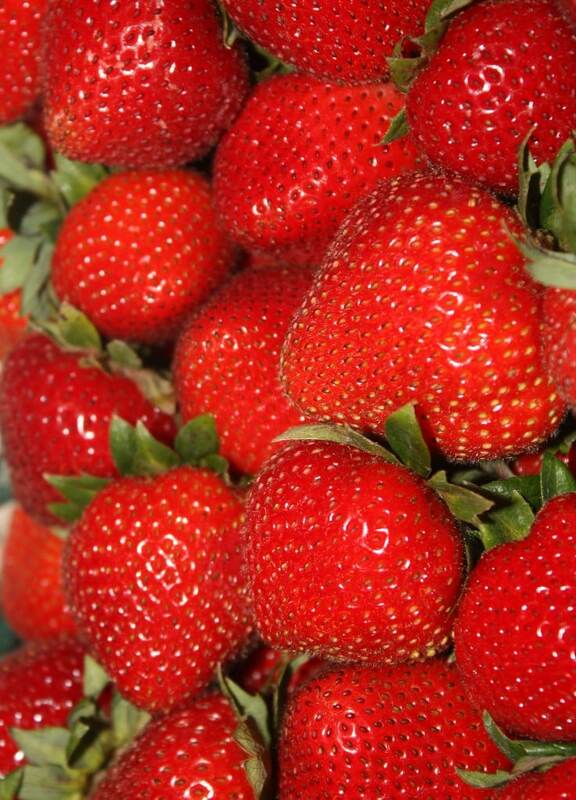 The season is revving up, so I bet you’ll find strawberries soon! I keep meaning to try this. Your jam looks incredible. I have to make it! Put it on your list of things to make, Christie! It’s super easy to make! I have never made chia seed jam, but I think that needs to change with this recipe. I like that you can control the sweetness with the maple syrup. You’ll love this jam, Renee. It’s easy to make and if your strawberries are super sweet you may not need any sweetener at all! I really enjoy making jam – will be giving this a try. Wanted to add LOVE your pictures, the strawberries look so bright and vibrant, YUM! There is a fruit leather with strawberries and chia seeds that I make that I very similar to your jam, just spread on parchment and baked for a couple hours. Love your version to keep it loose and spread it on toast! Oooo, I bet those fruit snacks are tasty! I love how simple this is to make and I add it to yogurt too!